Overview: The jackpot is up for grabs and the heist is on to BREAK THE BANK in this 3 reel classic. WIN UP TO 2,400 COINS. 5 LINE, 1 COIN. WILD X2 MULTIPLIER. 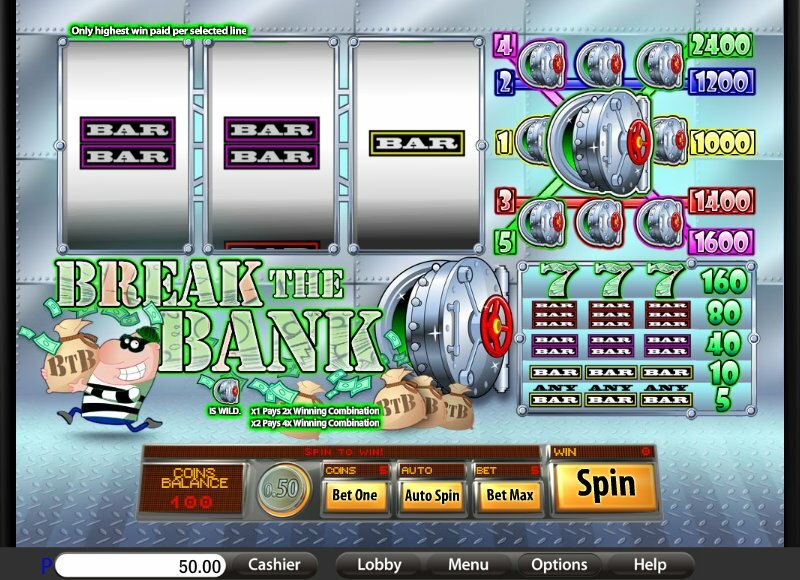 Similar Slots: If you like Break the Bank, you might like these other slot machines from Saucify: Diamond Dare, Minted Sevens, Santa's Surprize, Stars 'N Stripes 777, Wild Berry.